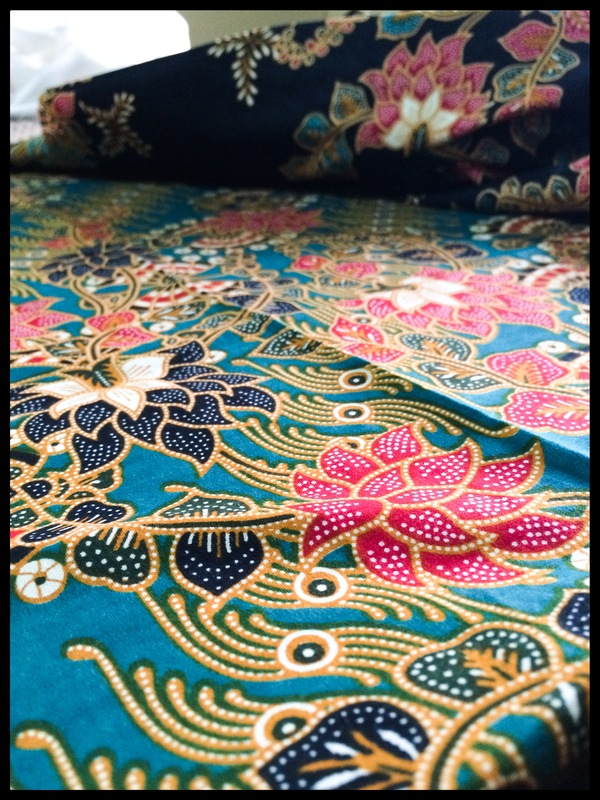 Some years back while in Bali, I got greedy and bought more Batik fabric than I needed. 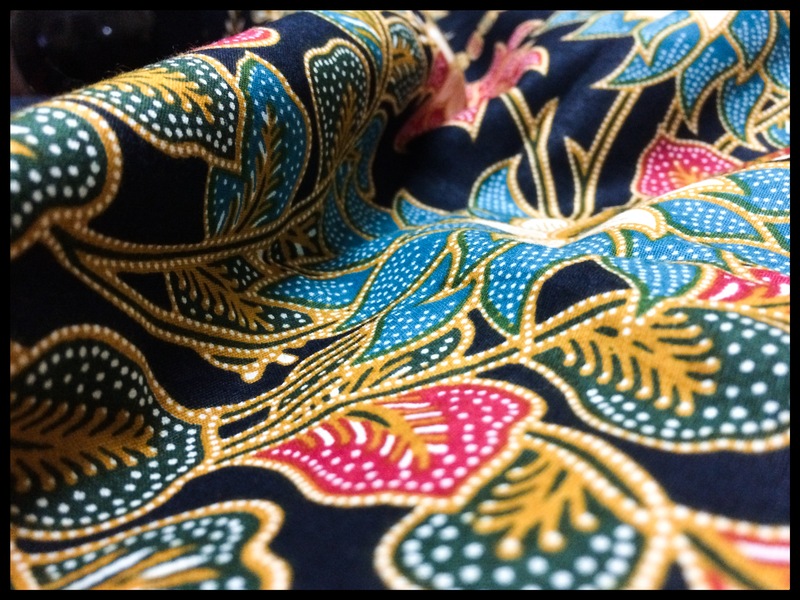 The prints were so intricate and the fabric itself was so soft, I couldn’t help myself. After making a few pieces to wear, I thought to make a wall hanging of one of the prints. These were after all meant to be souvenirs. I had pallet wood leftover from another project so all I had to do was measure, cut and staple. Once the frame was set, all I did was to drape the fabric around and use the staple gun to pin it in place. And then, I had a lovely wall hanging which would remind me of time spend sipping coffee in Ubud. When I first saw the fabric, I though I would frame it as a remnant of my travels… and then I figured photographs do that already and I might as well stitch this up. So after thinking of multiple designs and going through several Pinterest posts, I settled on a simple shift dress. 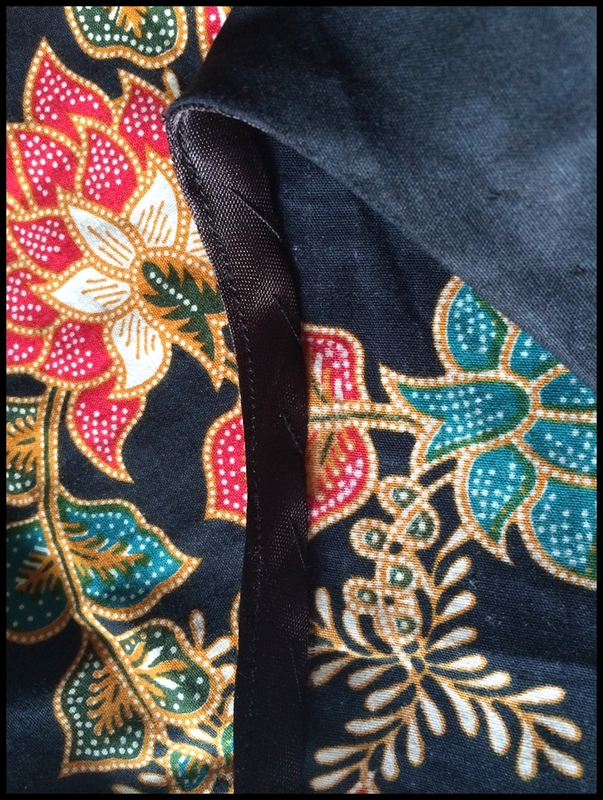 The front is of Batik fabric and the back is a blend of jersey and silk which makes the dress stretchable enough to put on and off without placing a zipper. 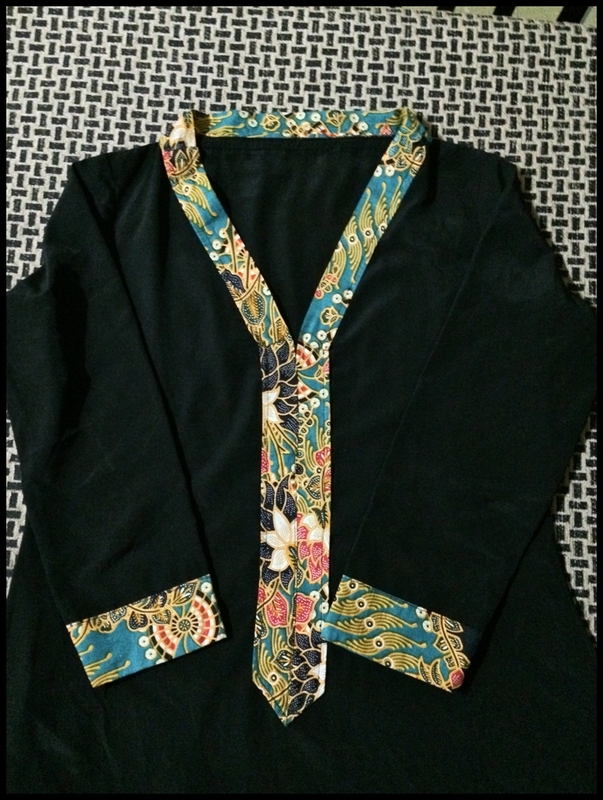 I had to tack in the neckline using a black facing. The dress turned out well. 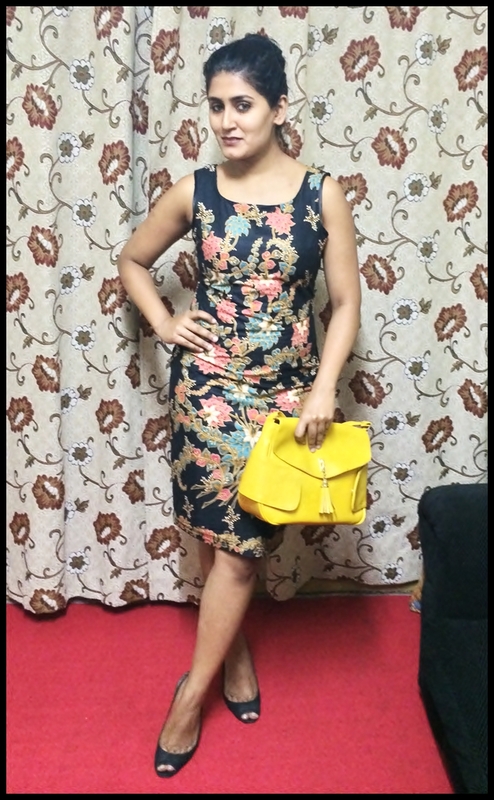 I am in love with the print and colours. Thought to accessorise with a yellow handbag which I also picked up in Kuala Lumpur. 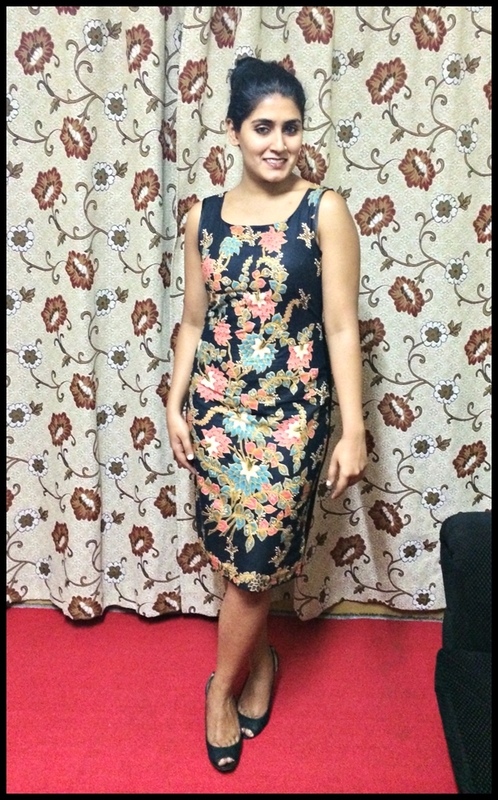 This dress used up less than a metre of the fabric, I had previously used up some for the finishing of a kurti. Anyways, after more than a year of thinking what to make of it, I have finally made up my mind (for half of the material at least). Will be posting that up as soon as its stitched.